Valiant is joining Free Comic Book Day 2018 with the VALIANT FCBD 2018 SHADOWMAN SPECIAL – a world-shaking, silver-level offering featuring a closer look at the renowned publisher’s biggest and most impactful releases of the New Year with advance looks ahead at SHADOWMAN, HARBINGER WARS 2, and surprise guests galore! On May 5th, 2018, Free Comic Book Day begins in full force as superstar writer Andy Diggle (Green Arrow: Year One, Daredevil) and high-octane artist Stephen Segovia (NINJAK, Action Comics) take the helm of the VALIANT FCBD 2018 SHADOWMAN SPECIAL to present a must-read introduction to Shadowman as Jack Boniface reemerges from the Deadside to reclaim his birthright…and forge a new legend of magic, might, and malice for the long-awaited return of Valiant’s most-demanded hero! 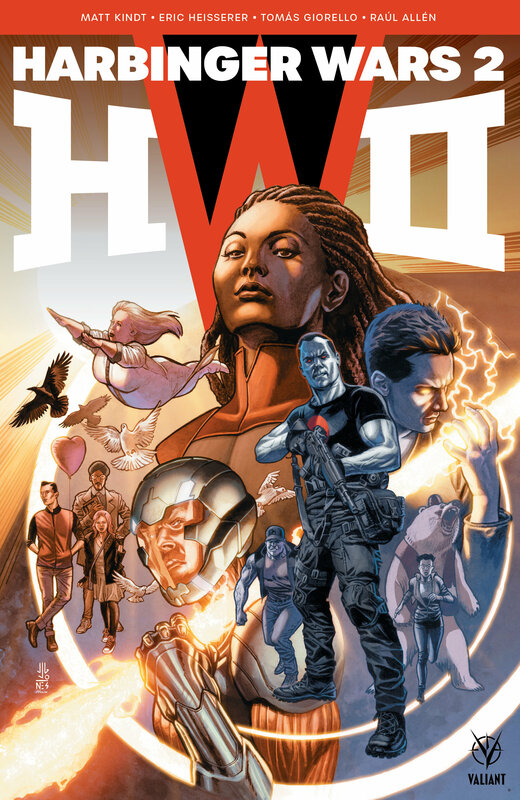 Have you been reading Valiant Comics? Let us know which books are your favorite in the comment section below. Also, don’t forget to Like, Share and Subscribe to all things Constant Collectible so YOU can keep up to date with all the news and reviews from a world of GEEK CULTURE.